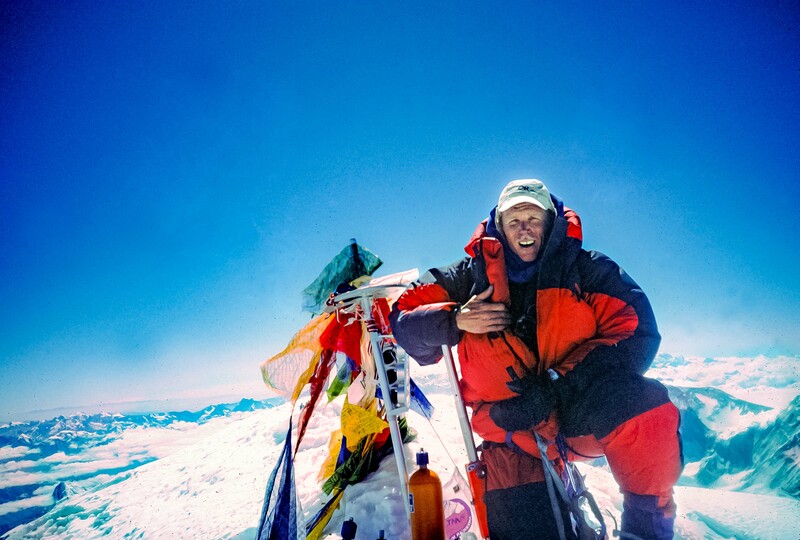 Tibet, Everest Summit, Jeff Shea, May 24, 1995, 9 a.m.
Tibet, Everest Summit, Jeff Shea, May 24, 1995, 9 a.m. - Being on the summit of Mount Everest was a dream. It lasted 40 minutes. During this time of jubilation, the back of my mind was wondering how I was going to get down. The summit is fine and all, but wise mountain climbers have an adage, that the real summit is back down at Base Camp. Fortunately, the weather was good and I made it back alive.